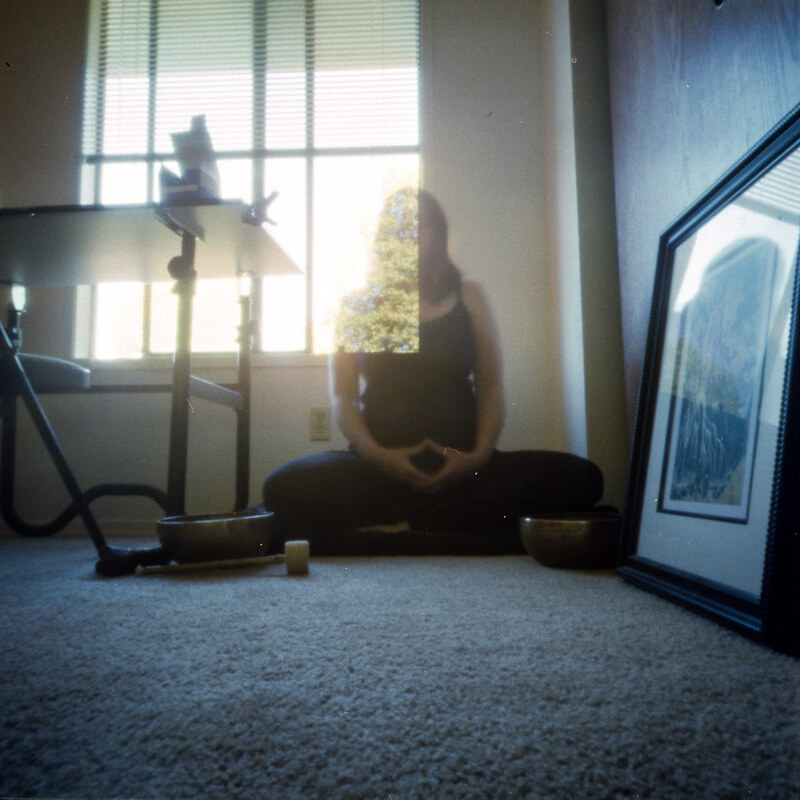 I am drawn toward pinhole photographing people, myself included. I am fascinated with what might happen on film when movement is blurred for longer periods of time. Maybe a person will show up on the film. Maybe they won’t. If they do show up, how will it happen? 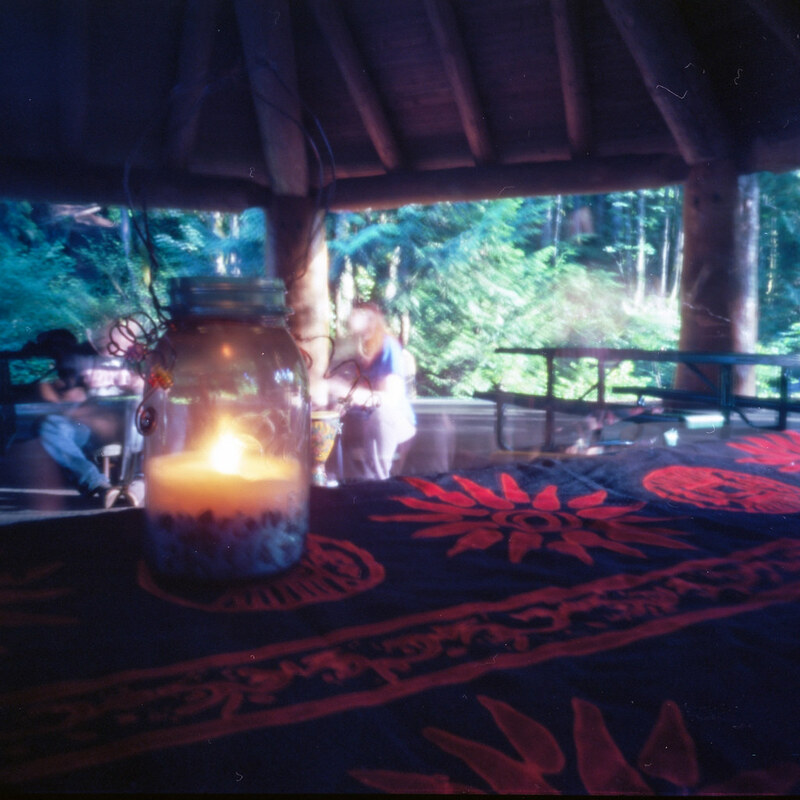 In the photo above I used my Holga and photographed a drum circle I participated in last month the evening of the super moon. This photo was exposed for 20 minutes. I wanted to make sure something was in focus the entire time so I placed the camera close to the candle holder. I wasn’t sure how this would turn out at all because there was a ton of movement. At one point someone came and sat down on the table the camera was on and I was afraid they were blocking the view, but that wasn’t the case. Or if they did, there was enough of the exposure prior to them sitting down for it to be captured on film. I thought I would also experiment with self portraits. I captured myself meditating for 10 minutes. I love the way my image is there and is not there. 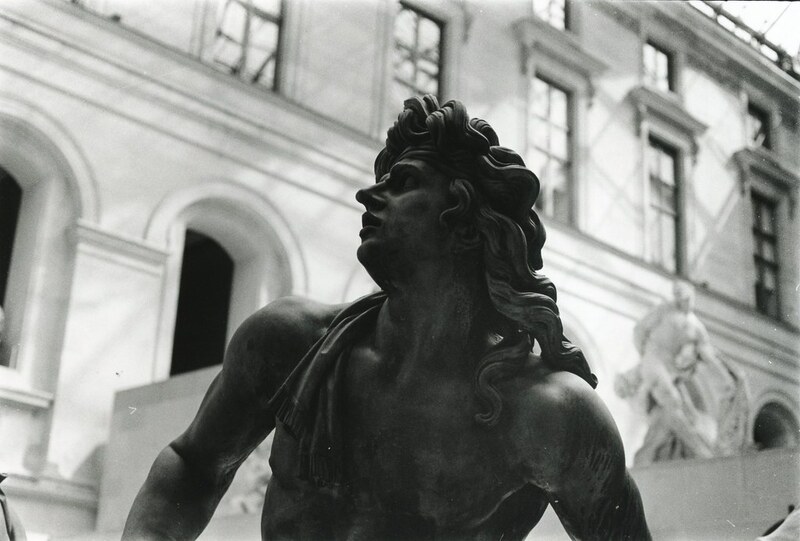 Again, I used my Holga. This time I used 400 speed film, Fuji. I don’t like the subdued colors of this film. I prefer the saturation of the Ektar (used above). 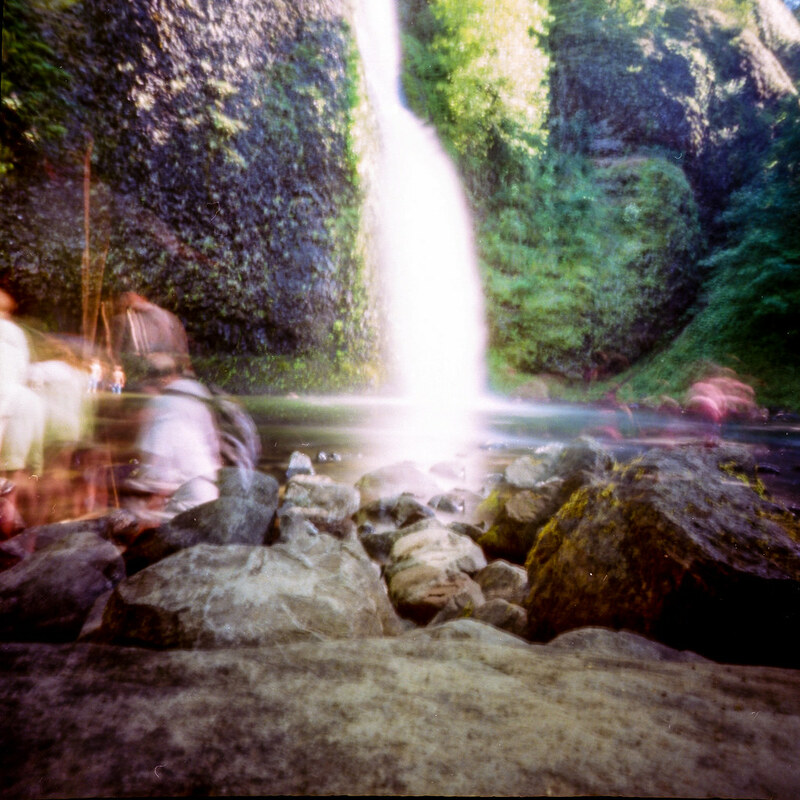 This was taken with my Zero 2000 at a waterfall in the Columbia Gorge on a hot day. I think it is a 2 minute exposure using Ektar 100. Again, I dig the movement of the people. It’s not a perfect photograph but It is one that has me thinking about photographing crowds of people. My International Filmswap with Brendan from Aware of the Void continues! He shot the last of the three rolls on Sunday – and even developed them himself so we could have results that day. I am so pleased with how they turned out! Here are some of my favorites. There are a couple that really stand out and I will post them in another blog post so they can stand on their own. They are included here as well. 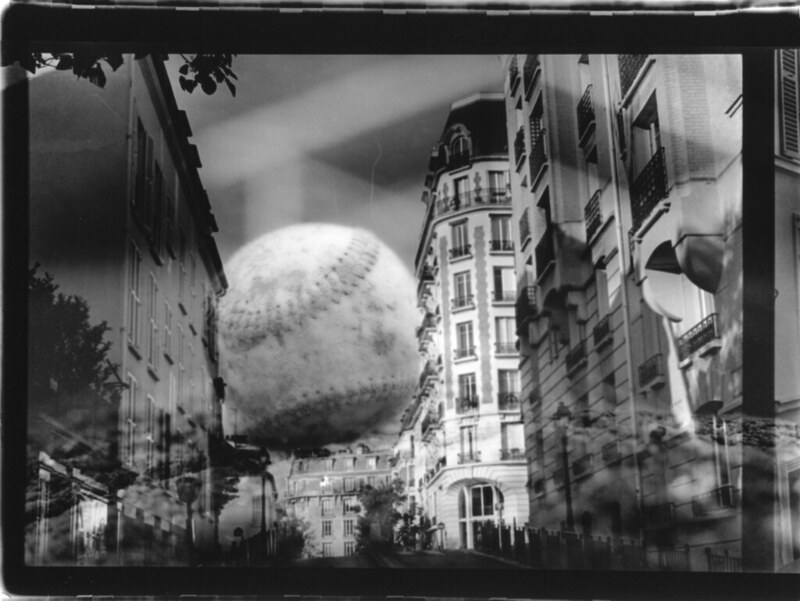 Last night in my darkroom class we learned some image manipulation techniques. Weirdly and unexpectedly my teacher mentioned negative stacking. I wasn’t planning on doing this yesterday in the darkroom but I had to give it a shot, since she mentioned it. 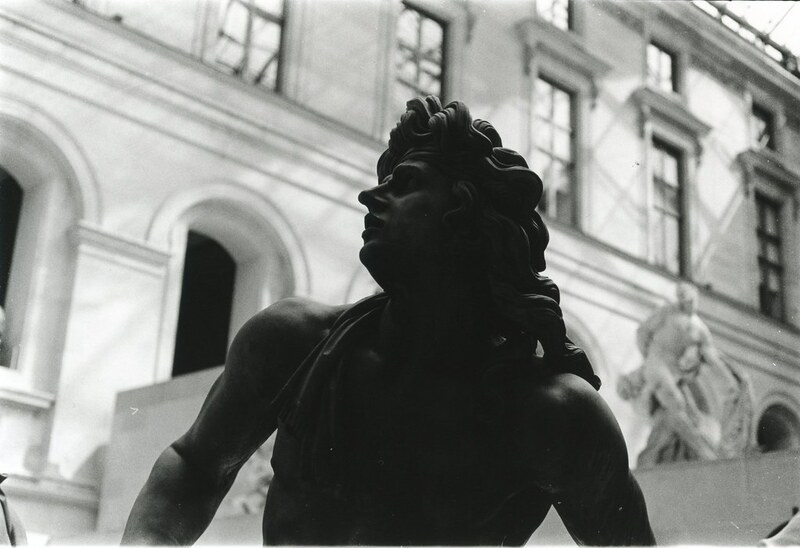 I picked out a couple of photos from the negatives I had just developed and sandwiched them on the light-box. As soon as I saw the baseball and the alley I knew I had to try it.